The digital world gives you more opportunities than ever for creating inspiring content. From high-resolution still images to stunning 4K video, incredible action-stopping images that capture split seconds your eyes can't even see are all possible...with the same camera! Having dual card slots to store all of that rich imagery as it comes off the sensor isn't a luxury, it's a necessity. Sony listened. The latest generation of Sony full-frame cameras all feature dual SD card slots to keep your work safe. 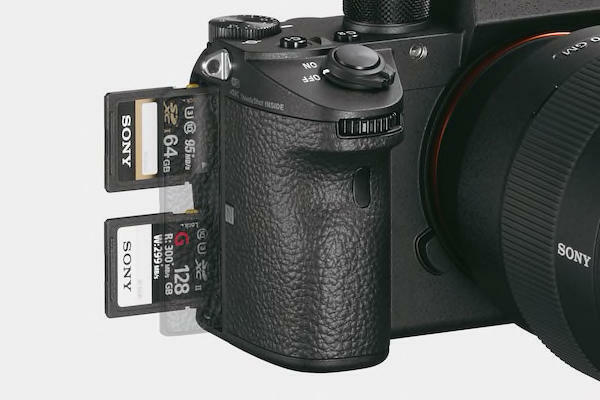 "Photographers asked for dual card slots and Sony listened. Record RAW files to one card and JPEGs to the other, roll over from one card to the other or use the second slot for instant backup. "